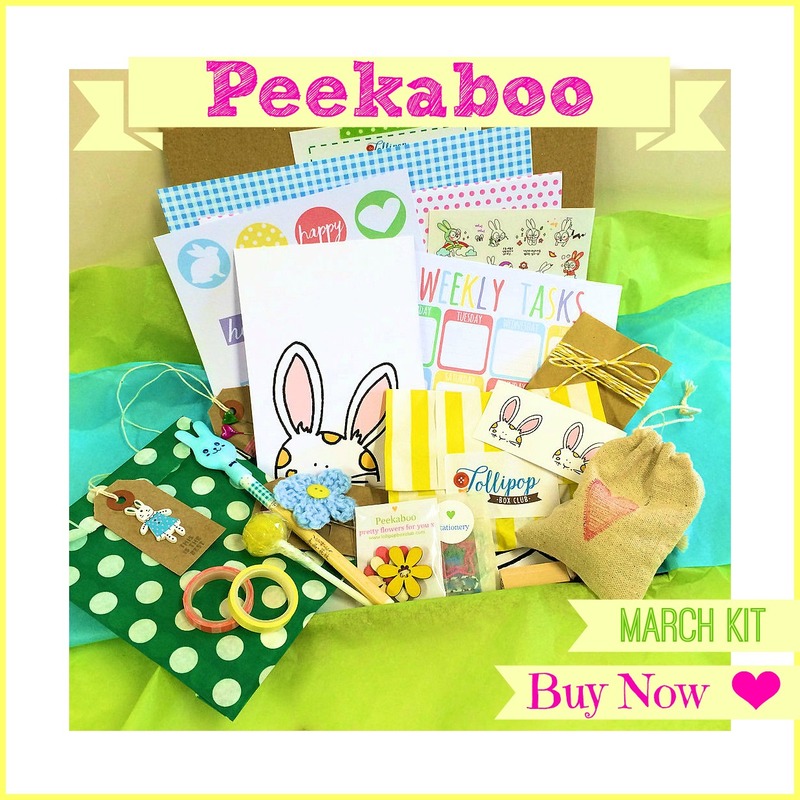 March Kit #11 – Peekaboo! Are you ready for a little Spring happy mail?? Our March kit ‘Peekaboo’ comes in lovely fresh spring colours…..greens with touches of pale pink, blues and yellows. It’s the perfect breath of Spring that you need in your life this time of year. Think of the Spring flowers coming through, the fresh greens starting to grow again, pretty colours appearing after the winter along with cute little Easter bunnies. I love this time of year. We have some fab exclusive printables this month….a cool weekly planner plus embellishments for you to use on your projects. Along with an adorable bunny pen….. I love him soooooo much. 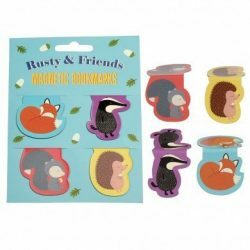 More bunnies, bunny stickers, bunny embellishments and bunny surprises. 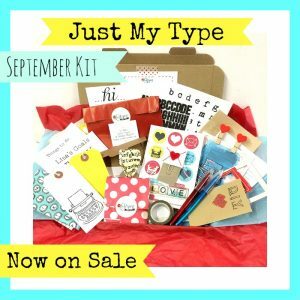 Two lots of mini washi tape, a stamp, cute stationery, personalised lists, a beautiful planner clip, a mystery gift, a lollipop and loads more in lots of cute little packages…..it’s all about the cute this month!! And all this starting from just £15. This kit makes the best Easter gift. If you subscribe now, not only will you receive your kit at a discounted price you will also receive extras in your happy mail box. So don’t miss out on this month’s super cute happy mail. Remember, a large amount of the kit is kept secret so you get a surprise when it arrives. On the blog during the month of March, we will share inspiration, ideas, tips and recipes to run along side this kit. You can now subscribe from just £15.00 (free UK delivery) to receive this at a discounted price and this way you are guaranteed a kit each month. There is no contract, you can cancel at any time. As a subscriber you will also receive a special code in your box giving you access to free downloads for you to use time and time again. The kits will be sent after the middle of the month.